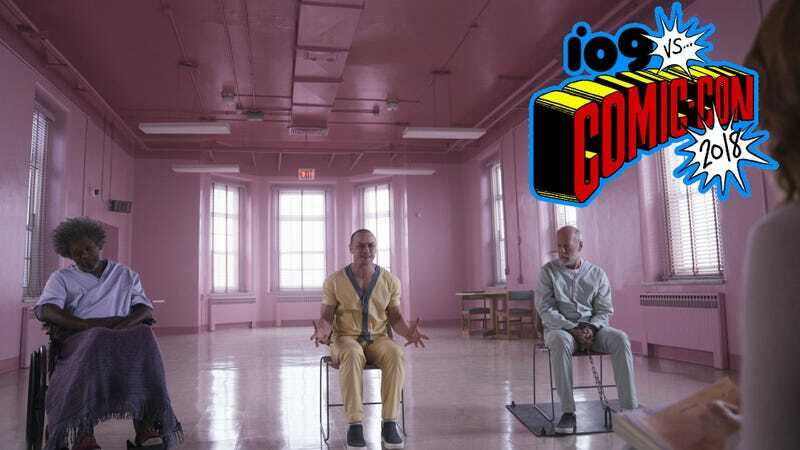 Samuel L. Jackson, James McAvoy and Bruce Willis star in Glass. Glass co-stars Anya Taylor-Joy, Sarah Paulson, Spencer Treat Clark and Charlayne Woodard. It opens January 18, 2019.